We are looking for groups and organizations to endorse the list of demands. If you wish to do so, please email barrierelakesolidarity@gmail.com. Say NO to Canada's armed-imposition of an unconstitutional regime! On August 12, the Canadian and Quebec Governments are using the Quebec police to impose the Indian Act election process. The Algonquins of Barriere Lake are boycotting! 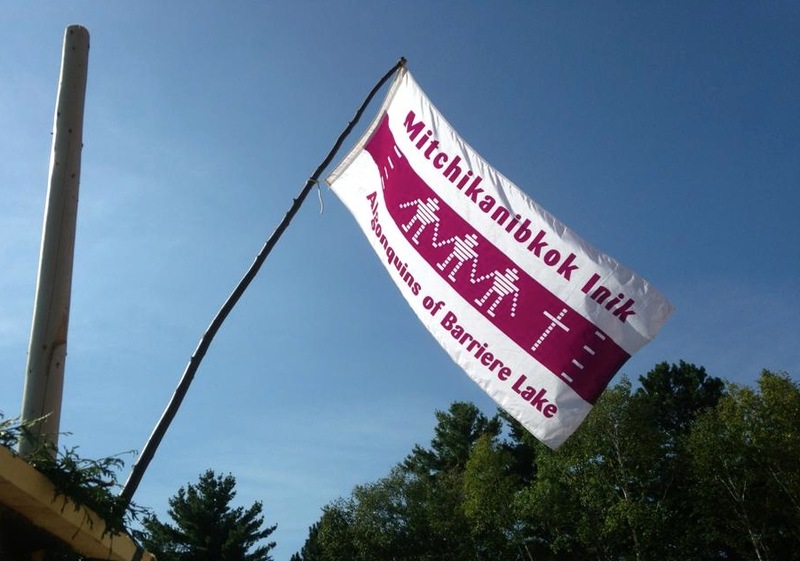 Kitiganik, Rapid Lake, Algonquin Territory / - On August 12, the Algonquins of Barriere Lake will protest and boycott a nomination poll for Indian Act band elections that the Department of Indian Affairs is unilaterally forcing on their community. The Quebec Police, the Sûreté du Québec, will be guarding the polling stations in the community’s territory and have threatened to arrest anyone who tries to interfere or set up blockades. After community members peacefully blockaded a federal government electoral officer from entering the reserve on July 22, the Department of Indian Affairs rescheduled the nomination poll for August 12. The government officer is seeking nominations for a Chief and Council that would be voted for in an election the Department of Indian Affairs has planned for September 26, 2010. Barriere Lake is one of the few First Nations in the country who have never been under the Indian Act’s electoral system, continuing instead to operate under a Customary Governance Code that they have used for generations. During the July 22nd nomination meeting only 4 nominations were sent by mail-in-ballot – and all from individuals who have never lived within Barriere Lake's traditional territory. Barriere Lake’s inherent right to customary self-government is protected by section 35 of the Canadian Constitution and is enshrined in the United Nations Declaration on the Rights of Indigenous Peoples. A May, 2010 report by the Standing Senate Committee on Aboriginal Peoples affirmed that First Nations have the right to maintain control over their internal affairs and be free to pursue their vision of customary government. The Assembly of First Nations has passed a unanimously-backed resolution condemning the government and demanding that the Minister of Indian Affairs rescind the band elections, imposed through section 74 of the Indian Act. Under Barriere Lake’s customary governance code, participation in leadership selections is open only to those band members who live in the traditional territory and have knowledge of and connection to the land.